In the past decade and a half, the number of people using glasses and contact lenses has increased drastically. This can be attributed to the increase in watching television and increased usage of computer at home as well as at work. Our eyes, like any other part of the body, need regular exercises in order to be healthy. If one starts wearing glasses or contact lenses, their eyes get used to the new lenses. As time goes by, the eyes may need stronger lenses in order to function properly, thereby making the eyesight get even worse. People who wear glasses and contact lenses would have experienced this. 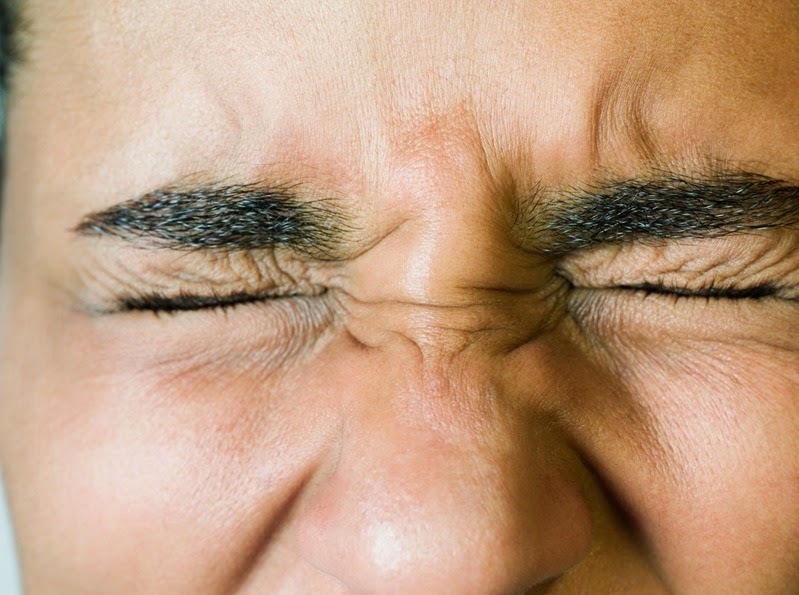 Blinking, an often disregarded exercise, is a simple way to keep one's eyes fresh and it helps focus longer. Those who use computers frequently or watch television for a long time tend to blink less, especially when they focus intently on something. For two continuous minutes, try to blink every three to four seconds. After doing this, you can mentally sense how your eyes feel - are they strained? Tired? Or are they relaxed? For the next two minutes, try not to blink for 30 seconds at a time. 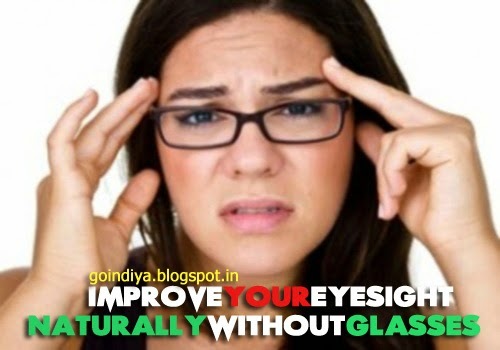 This simple exercise reduces eye strain and it keeps the eyes very fresh. It also expels previous information and makes the eyes prepared for new information thereby reducing tension in the eyes. Palming is an exercise done by keeping one’s palms around the eyes. This has to be done when one is not wearing any lenses. This exercise stimulates extremely powerful acupuncture spots which calms down one’s mind and relaxes the muscles surrounding the eyes, thereby reducing stress around the eyes. Palming results in increased circulation and provides healing power to the eyes. Sit on a flat table. Now, leaning forward, keep both your elbows on the flat surface of the table. Gently close your eyes. Keep both your hands over your eyes. Your palm’s cup should cover your eyes while fingers should be on your forehead. The heel of your hand should be resting on the cheekbones. It should not be too tight as it might give a large amount pressure on the eyes. You should be able to blink easily. This exercise provides an opportunity not to see, but to concentrate on keeping your eyes and mind relaxed at the same time. It is recommended that one should do this exercise only for three minutes at a time. However, palming can be done as much as one prefers - all through the day in order to keep their eyes relaxed. Pen focus exercise aims at strengthening the weak eye muscles. Sit erect in a sturdy chair. Now take a pen on your right hand. Hold it straight in such a manner that it is held exactly in front of your body. The pen should be held upright. Take normal breaths. Focus the tip of your pen. Keep focusing at this position and count from one to ten. After this, bend your arm and slowly bring the pen towards your nose tip. Do not shift focus. Our focus should still remain on the pen’s tip. At this position, count from one to five. Extend your arm and slowly and bring it back to the original position (in front of your body). Keep focusing the pen tip. At this position, count from one to five again. It is important that you should not blink or shift your focus from the tip of the pen during this exercise. Rest your eyes and count from one to ten. Step one to seven can be repeated three times every day. Figure of eight is an exercise that enhances eye muscles’ flexibility. Though it is a simple exercise, it is an excellent exercise. What is figure of eight? Visualize a huge shape of the number eight in about ten feet in front of your face. Slowly trace the outline of this shape with your eyes. For the first few minutes do this in one way and then in the other way for the next few minutes. It might seem odd to begin with but it is worth continuing this exercise. This is an exercise that aids to tone and stretch out the eye muscles. Rotate your eyes clockwise for 20 times. While doing this, you should broaden the circle with every succeeding cycle. Now stop the exercise, gently close the eyes for 10 seconds. Resume the entire process again in the anticlockwise direction. These three steps are to be repeated three times every day. Zooming is an exercise that strengthens one’s eye muscles and their focusing abilities. Position your thumb at an arm's distance in front of your midline. Focus on your thumb. Slowly, inhale and simultaneously bring the thumb towards yourself. When the thumb is around 3 inches from your face, move away your arm.